My childhood days were very exciting. I joined many competitions and participated in school activities. I was an honor student and a class officer. I'm a member of Verbum organization and this organization's advocacy is to make others aware of God's creation. My experiences taught how to be a good daughter and a good student. They thought me how to be strong and face things that I will eventually encounter. 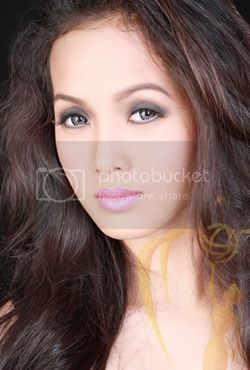 It was the time that I was chosen to be the representative of Cebu City for Miss Olive-C Philippines 2012. My ambition in life is to be a registered nurse and hopefully, to be a cardiologist. Stop illegal logging for it is the main reason why there are many flash floods in the Philippines, like what happened to Cagayan De Oro. Every tree gives shelter and food needed for a healthy well-being of an individual. One tip that I can share to promote sustainable energy for all is promoting clean energy technology. Modern energy technologies are available right now addressing both global environmental protection and local development needs to reduce problems in energy.